Newest Bluetooth Class 2 Smart Ready Specification with V 4.0 Low Energy Technology. SoundBot SB340 Universal Plug and Play Bluetooth 4.0 USB Adapter is awesome! SoundBot SB340 Universal Plug and Play Bluetooth 4.0 USB Adapter is extremely easy to install and I love that I can now use my Bluetooth headphones with my computer. The sound quality is great and it seems to have pretty good range as I often walk to the kitchen from my work space and don't lose connection. 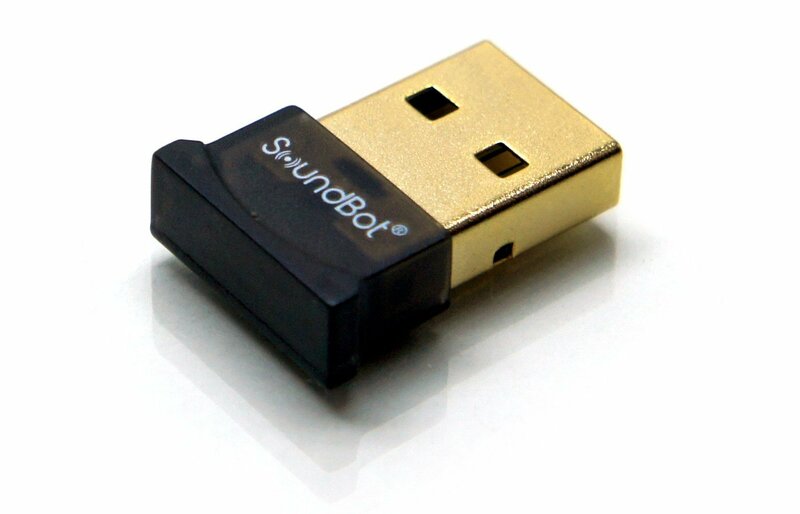 SoundBot SB340 Universal Plug and Play Bluetooth 4.0 USB Adapter works great! SB1011 Bluetooth wireless speaker is a byproduct of cutting edge technology well packaged in vibrant & classy wooden box - perfect decor for your home, office, desktop, night table, or bedside w/ powerful high-performance 40mm speaker drivers to reproduce full spectrum music, from up to 33 feet of remote distance. Engineered with high-performance 3W + 3W loud speaker driver with 2 x 40mm premium acoustic structure drivers to deliver HD music listening experiences with balanced natural mid-range output, dynamic bass, and crystal clear high notes. Equipped built-in tuner with simplified one click auto scan function to preset FM radio channel stations and allow navigation at ease. LARGE LED DISPLAY to blend in well with the contemporary environment, the most elegant atmosphere, or any other configuration. High efficiency and eco-friendly Bluetooth 4.0 technology that is both forward/backward compatible to all other generations of Bluetooth enabled media player devices such as Smartphones, iPhone, iPad, iPod, Mac, Macbook, Android, Tablet, Laptop, Desktop, PC, MP3 players and much more. SB1011 can also be connected to the other media player devices via 3.5mm jack, WITH or WITHOUT Bluetooth capability. Comes with energy efficient 2.1A USB charging port to recharge the power hungry media devices during wireless music streaming, handsfree talking, FM RADIO playback. SoundBot® SB1011 8-in-1 Multi-Function Station w/ FM RADIO Tuner, Wireless Bluetooth, Stereo Audio Speaker, Built-In Mic, Alarm Clock is absolutely wonderful! I love how amazing this SoundBot® SB1011 sounds. The sound is crystal clear and it has wonderful bass. I also really love how stylish it looks because it goes with my bedroom decor perfectly. 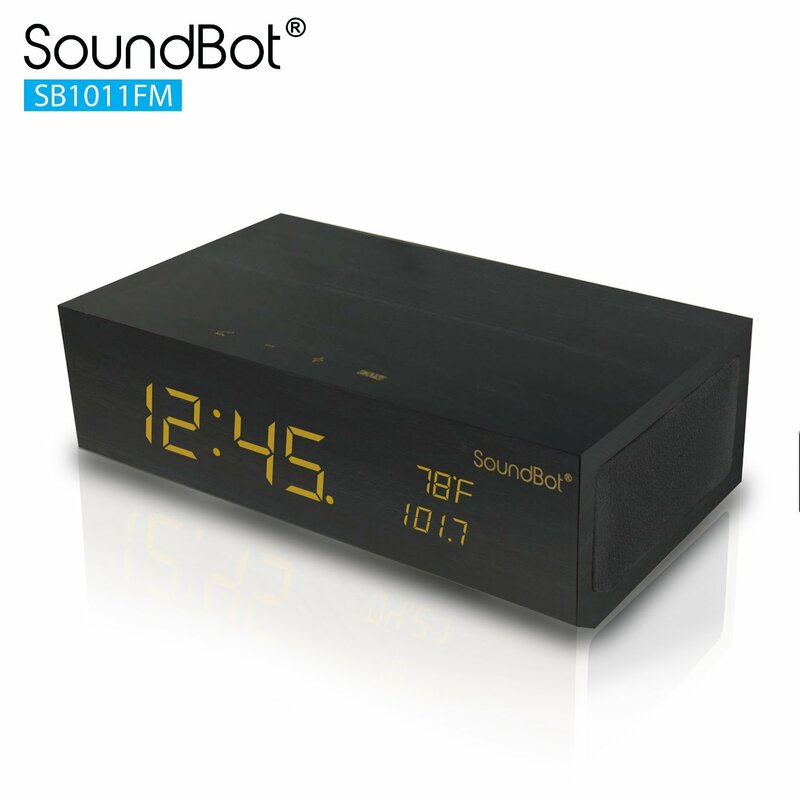 Another great thing about this SoundBot® SB1011 is that it has an FM radio tuner. Most people probably don't care about that feature but I honestly still enjoy listening to the radio. I also really like that I can use it to charge all my media devices. Overall this is a terrific product and I highly recommend it! 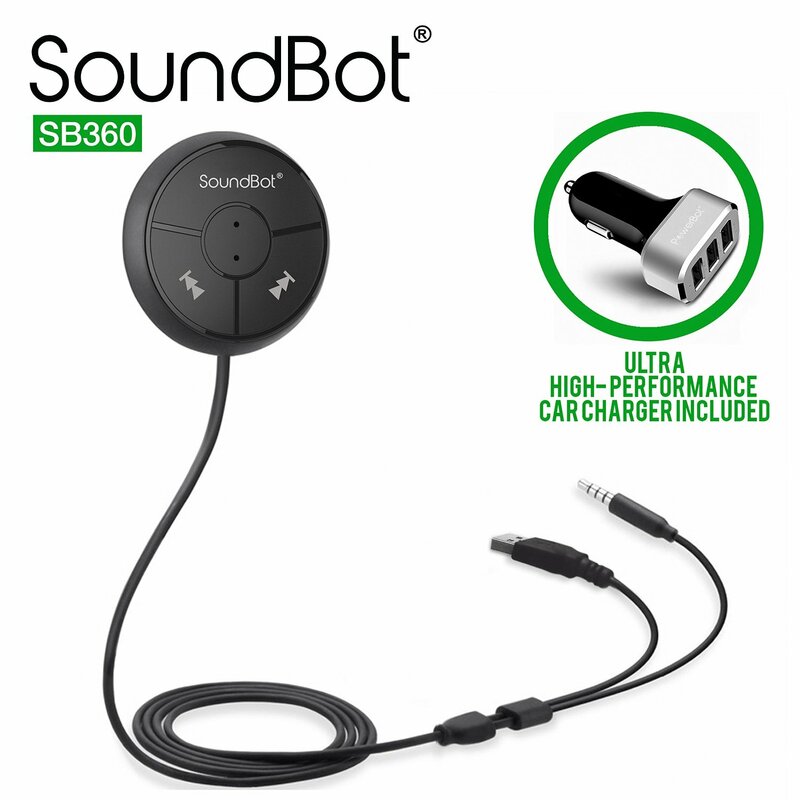 SoundBot SB360 Bluetooth 4.0 Car Kit Hands-Free Wireless Talking & Music Streaming Dongle is awesome! As a mom of 4 I can't believe I haven't owned one of these before now. I love that I can talk hands free while driving and I can also charge my phone when I'm out and about. The buttons work well and I also love that all my calls sound crystal clear. Installation is a breeze and it seems to be well made. 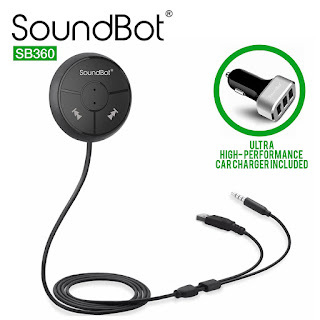 SoundBot SB360 Bluetooth 4.0 Car Kit Hands-Free Wireless Talking & Music Streaming Dongle is the perfect hands free kit for automobiles and I highly recommend it! Durable and flexible headband design with adjustable hidden arm mechanism provides maximum comfort, mobility, and flexibility to fit any head size. Navigation buttons to adjust volume, skip to the next or go back to previous available radio channel or songs flawlessly and seamlessly for most versatile use. Built-in high density battery for up to 6 hours of music playback time via wireless streaming, up to 8 hours of talk time and 125 hours of standby time from 33 feet away with free line of sight. High performance 40mm premium driver with natural and balanced audio spectrum to deliver the dynamic music listening and hands-free talking experience. 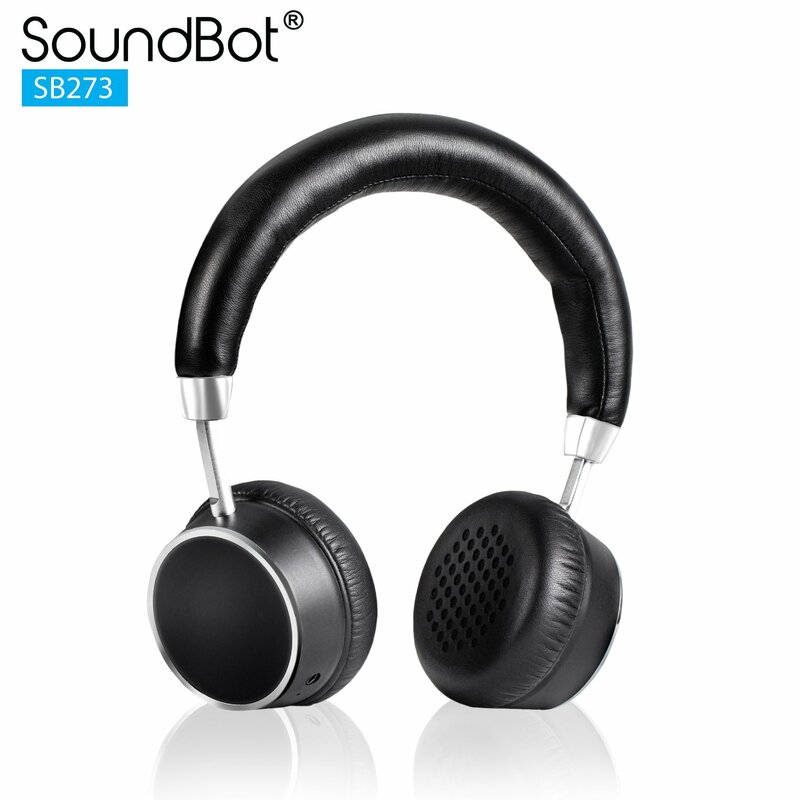 SoundBot SB273 Premium HD Stereo Bluetooth Wireless Headset is awesome! I absolutely love how comfortable this headset fits. Not only does it fit extremely well but it stays on well. I use this SoundBot SB273 Premium HD Stereo Bluetooth Wireless Headset while running on my treadmill at home and I'm amazed at how well it stays on. The sound is also absolutely incredible. I love lots of bass when I run and this SoundBot SB273 Premium HD Stereo Bluetooth Wireless Headset definitely provides it! My calls are crystal clear and no one seems to have any issues hearing me when I use it. The buttons also work well and the battery life is incredible. I rarely have to charge it and when I do it seems to charge very quickly. This SoundBot SB273 Premium HD Stereo Bluetooth Wireless Headset is incredible and I highly recommend it! Suitable for all ages (3+ and up) by one party of in groups a great way to spend quality time with the family and love ones. Feel the sense of achievement together - bonding by building with Picasso Tiles. No limitations, scalable to build as big as desired by adding more pieces. Picasso Tiles in colossol styles. Never too early to start developing kids creativity at a young age, Picasso Tiles offers learning by playing. Children will acquire strong sense of color, geometrical shapes including 3D forms numbers counts, magnetic polars. 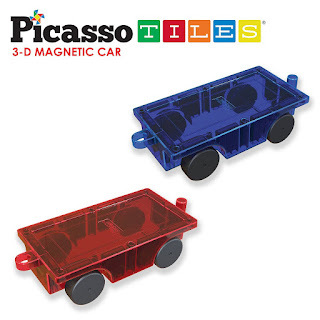 This PicassoTiles® 2 Piece Car Truck Set is incredibly fun! We have a set of Picasso tiles and let me tell you these PicassoTiles® 2 Piece Car Truck Set are a great addition. Now there truly is no limit to what my kids can build. I also have to admit I love playing with these. My kids and I build all sorts of wacky things together. It's an absolute blast and such a fun way to spend time together. The wheels move well and they link together perfectly. I highly recommend these PicassoTiles® 2 Piece Car Truck Set!